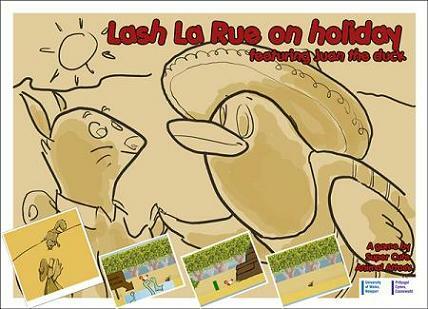 Lash La Rue on Holiday is a simple game that was created for the Global Game Jam, that my University hosted an event for. I created the game with my sister Catherine Woolley who is studying Computer Games Design and my boyfriend Timothy Wayman who recently graduated Games Development and Artificial Intelligence. This is currently an unfinished project as it is still being worked on, but is being worked on in our spare time. I act as both a project manager, and a programmer on the game. Updates on the project can be seen on the Lash La Rue blog.